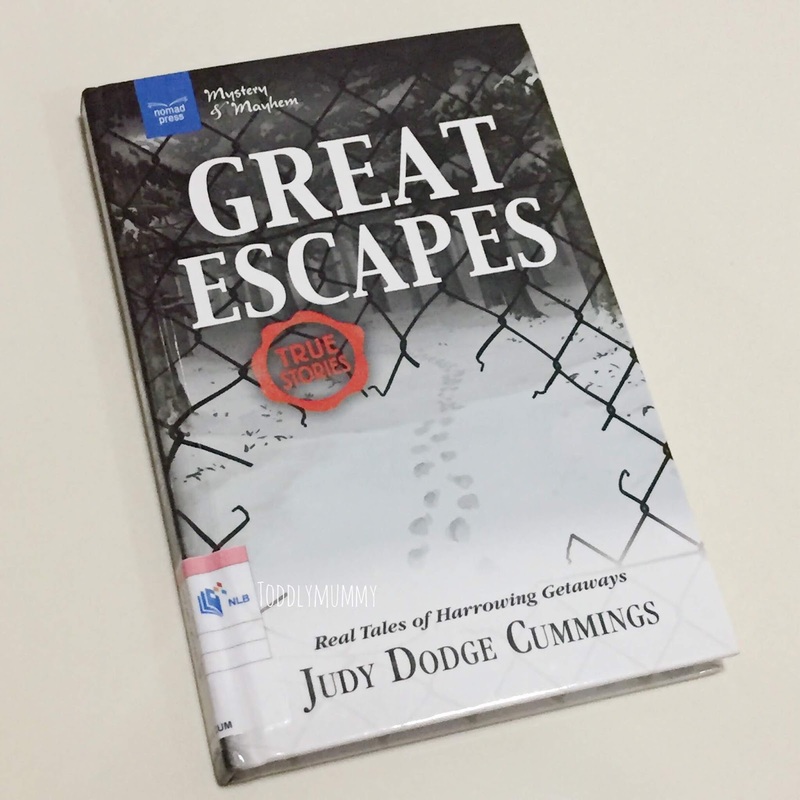 I was actually searching for a book for myself at the library, when I came across this - Great Escapes: Real Tales of Harrowing Getaways (Mystery and Mayhem), by Judy Dodge Cummings. Being a fan of history, mystery and espionage books, it immediately caught my attention. I didn't realise it was for young readers 9 to 13 until I laid my hands on it. Then thought: it'll be great for EV, though I held back a little, since she's never really been exposed to such books, or anything related to history. But then, this is a book of tales from history, written in a fictional way, so I thought: why not give it a try. I definitely think a lot of it has to be due to how the author writes. Historical facts can be dry, but she was able to present it in a fictional, exciting way to keep young readers enticed. There are five stories: slaves William and Ellen Craft and their escape to freedom; explorer Douglas Mawson battling the icy Antarctic with only his determination; a twelve year old boy finding a way off a moving train bound for Nazi death camp Auschwitz; the disappearance of three inmates of the infamous Alcatraz and finally the escape of 57 East Germans from Communist controlled East Germany. Each tale also comes with a map and time line that shows where and when the event took place. This enables the learning of fun and significant facts of history and in doing so, makes history come alive for whoever is reading it. This book, I'm hoping, is the start of a lifelong journey of appreciating history for EV.